This Extra-Wide sloping lot is ideal for a Walkout or Exposed basement plan with a nice view of Lake Largo. The Secluded & Prestigious neighborhood offers use to all Lot owners deeded access for the use of the spring fed lake which is Approx. 9+ acres, for the enjoyment of swimming, fishing, boat paddling, and ice skating . All this conveniently located with easy access to highways & downtown. 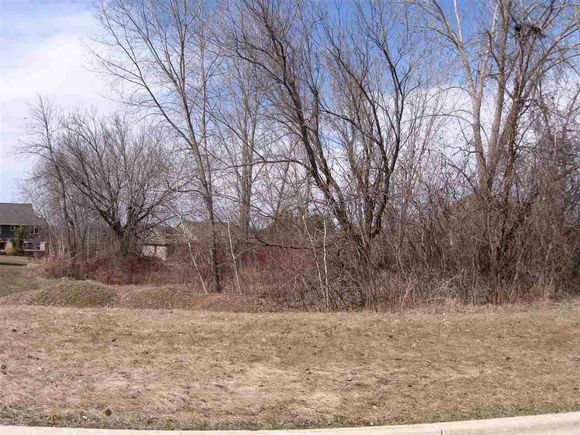 The details on CONCERTO LANE: This land located in Lake Largo, Green Bay, WI 54311 is currently for sale for $48,900. CONCERTO LANE is a – square foot land with – beds and – baths that has been on Estately for 670 days. CONCERTO LANE is in the Lake Largo neighborhood of Green Bay and has a WalkScore® of 1, making it car-dependent. This land is in the attendance area of Baird Elementary School, Preble High School, and Aldo Leopold Community School K 8.